International critical care patient transportation involves helping injured and ill patients to be repatriated back home where they can continue their treatment and rehabilitation. Each aircraft is like an ICU room equipped with the machines necessary to provide the best possible and needed care for the patient onboard. Every mission starts with flight planning and gathering a patient’s information. Based on the patient’s current and past health history, laboratory results, and diagnostic tests, decisions are made on the type of aircraft, medical crew and equipment used for the trip. Obstacles such as different time zones, language barriers and internet accessibility make it difficult for our team to gather patient’s information. Implementing LifeSTAT™ allows air crews to access a patient’s electronic records, medical history and diagnostic images internationally, while breaking the number of obstacles the medical team faces with each trip. 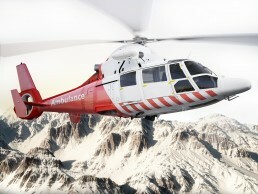 I see LifeSTAT™ becoming the standard for medevac transport. Not only does it provide safe and effortless mission planning, but more importantly, it guarantees patient safety and satisfaction throughout the journey.